« Updated: Available Now iTunes App Store: Pet Puzzle Fun – Cute Match 3 Puzzle Game! This past summer, I had a pretty horrendous night in a cheap hotel. Paper thin walls, crappy location and proximity to the local hospital all made for a very loud and highly disrupted night without much sleep. 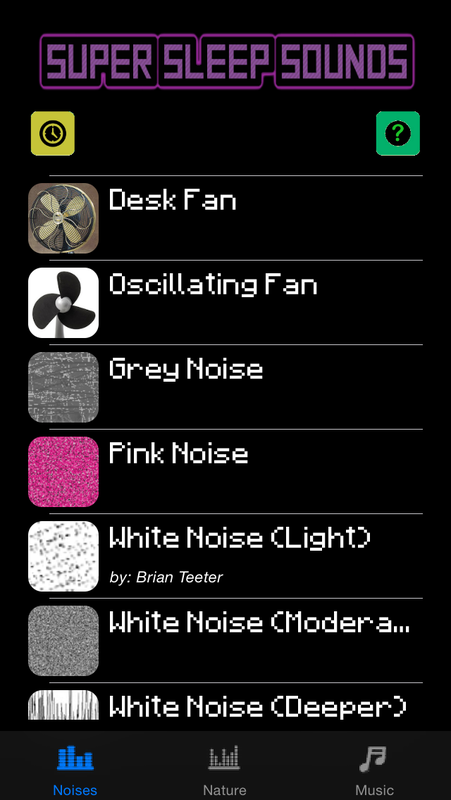 That night I started work on Super Sleep Sounds – an app that has all of the common sounds folks use to fall asleep: white noise, pink noise, fan noise, nature sounds – you name it. I’m happy to announce that an update to Super Sleep Sounds is now available. It includes a much improved user interface and several bug fixes. Need a good night sleep? Come grab Super Sleep Sounds on your iPhone or iPad!